Question. Spilt Milk Society is perfect for being top of Google pages, but how did you come about the name? Harry Handford: We live in a society where people care too much about the “spilt milk” - it’s just a statement about everything around us. People need to get a nice scented candle, watch a light-hearted Will Ferrel comedy and realise that life is great. I can’t stand ungratefulness and it seems like that’s what people are becoming. Q. And how many funny looks do you get when you tell people the band name? Q. What made you want to get into music? HH: My mum and dad met at a brass band so I was involved in that world before I knew how to speak. I then moved away from that more classical route when I simultaneously found bands like Nirvana, The Beatles, ABBE, Foo Fighters, Queen, Green Day at about 13 years old. I used to watch the ‘Bullet In The Bible Tour’ DVD almost everyday when I was younger - mad scenes. Since then it’s just been more and more obvious that it’s what I want to do and I’m blessed to be able to do it as my life right now. Q. Who are your biggest inspirations / motivators? HH: Musically the people who inspire me now or have inspired me in the past are Kevin Parker, Tyler the Creator, Yannis Philippakis, Luke Pritchard, Harrison Koisser, Peter Sagar and Thomas Mars; they all deserve a mention. On a general day-to-day basis my mum inspires me to get through things that maybe seem too difficult to mentally get over, and my friends inspire me to make memories and go out and do things which is so important. If you just work all of the time and become too involved in a project you’re working, you end up going a long time without making greta memories to look back on and you end up losing yourself a bit. A good view is pretty inspiring too - I like to live around good views as a general rule of thumb. Q. When going into the studio are you very structured or is it one big jamming session and the tunes just grow out of that? HH: It tends to be that I’ll write a song in my room, make a demo of it, Josh will come and change some stuff around and record his guitar parts on it and then we send it to our producer. We circumvent the studio at the moment because it helps the songs natural progression. If you have to go to a studio it creates pressure and often there are people around to change things and influence it which is good in some cases but generally I trust myself more than I trust others’ opinions. For that reason it’s more safe to write and record at home. In fact, none of our songs have ever been recorded in a studio - they’ve all been done sat on a sofa or bed just relaxing. Having said that we love to jam to the extent that we often take up whole rehearsals doing it - probably not what our manager wants to hear but it’s too damn fun. Q. ‘She Tastes Like Summer’ has over 1 million streams on Spotify, what does that feel like? Josh Hyde: We’re really buzzing about She Tastes Like Summer. We never imagined it would do as well as it has but somehow we’ve managed more than a million streams. We can’t thank people around the world enough for the love they’ve shown that song. Q. It’s a pretty special song, how did you manage to fit so much emotion into a song that you can also jump around to? HH: I wrote this when I was 16 so a couple of years ago now and it hasn’t changed other than adding that synth melody to it just as it hits in. I have no idea what process I went through to write it because I really can’t remember. All I know is that I’m very glad I did! I remember wanting to write an anthem and I think in some ways I succeeded in that. Q. Admittedly though, ‘For The Last Time’ is probably my favourite Spilt Milk Society song, do you have a favourite song of yours? Q. Whether or not you find song writing easy, you’re obviously very good at it, has that been something you’ve strived for in your songs? HH: I write songs everyday. Last year I wrote 196 songs - some of them were obviously not good but overall I keep a high standard to all of my work. I enjoy the performing aspect of music too, but my main passion is song writing and as I said I do it every day which I feel privileged to be able to do. On the down low I’ve been preparing a solo album and ended up writing too many tunes so I now have an album and two E.Ps to release under my own outlet ‘strawberry milkshake’ - it’s all exciting times! Q. What usually comes first with your music, the lyrics or the tune? HH: Drums first always. I’m a drummer at heart so I always lay the beat down. Then I’ll start thinking of chords and a rough melody simultaneously. Typically it’s easier to record the bass line before guitars are laid down but there’s no real structure to it. I can’t not write a good build either - it’s the most fun part of recording Spilt Milk tunes! She Tastes Like Summer and Along the Way are the only songs without a build slapped in the middle I think. Q. I can vouch for the fact that you’re incredible live, how important is it for you to make sure you put on a good live show? JH: Well you’re only as good as your live show is what I say, so its massively important. It’s something that we definitely want to spend more time on this year too. We know we all have the capability but we just don’t always have the means to get everyone together as often as we’d like to. This year that will change and our live performance will soon be improving from a 9.9/10 to a straight 11/10. Q. And how important is it to protect special, independent venues such as The Sunflower Lounge or The Hare and Hounds? JH: It’s really important to keep the smaller venues alive. We wouldn’t be in the position we are now if it had not been for the Sunflower Lounge and others alike. It really is sick for smaller bands to have a place to jam, meet new people and gain new followers. These nights are some of the best we’ve had. Sunflower Lounge especially we’ve had some mad nights in there, watching others or playing ourselves. It’s always such a great atmosphere. Q. You’re clearly gaining a lot of support, especially in Birmingham, what is it like having a crowd singing your songs back to you? JH: It’s great to know people are listening to us, supporting us, learning lyrics, and generally diggin’ our music. It’s especially great when they sing back to us live as it helps haz remember his lyrics. It’s good to know at least someone in the room knows the next line. Only joshin'. Q. And how is it going to affect you losing 2 members of the band? HH: I’m no stranger to loss. It’s sad to see them go but we’ve loved having them with us for the start of our journey but I’m a big believer in timings. It’s right for all of us as the band is getting seriously busy now and Chan and Adam have other commitments within the music world. Chan has his solo project which has been going since well before Spilt Milk and Adam is a busy guy playing in pits for musical theatre shows or in big bands and stuff. They’re both so talented and I’m buzzing to see what they’ll achieve. As far as the band goes it’s actually pushed us more in a way and we’ve ended up writing 4 really good songs so I guess everything happens for a reason. 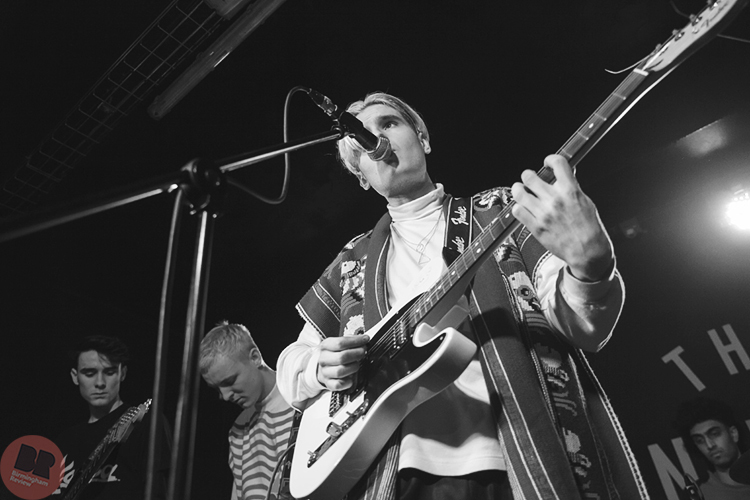 Q. Birmingham is brimming with musical talent at the moment, who are your favourite artists coming out of the city right now? 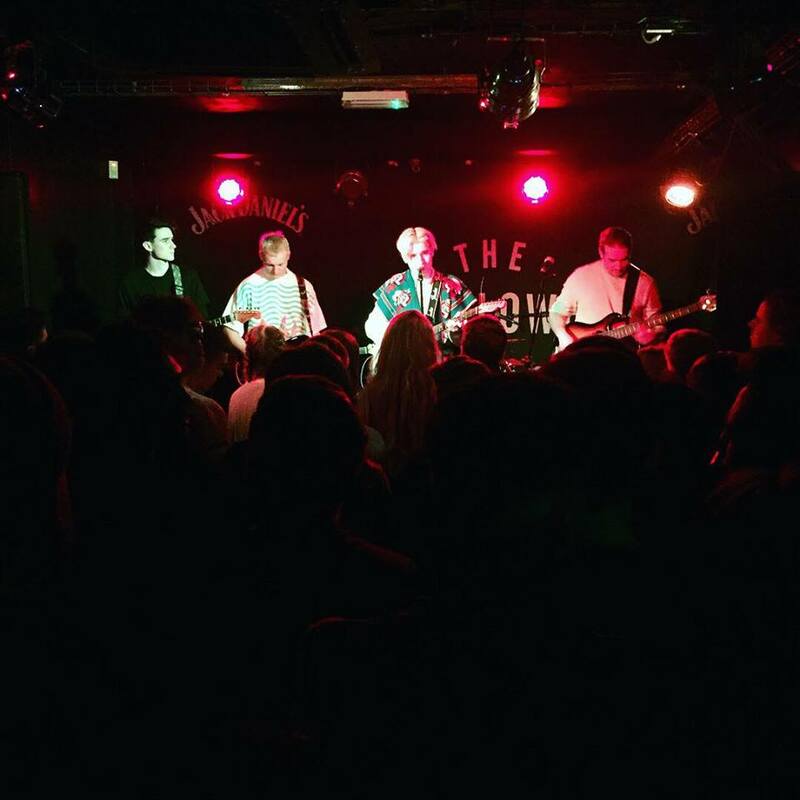 HH: That band that went on before us the other day was class. They were called Candid and everyone should check them out because they were super tight live - made us look messy, the bastards. 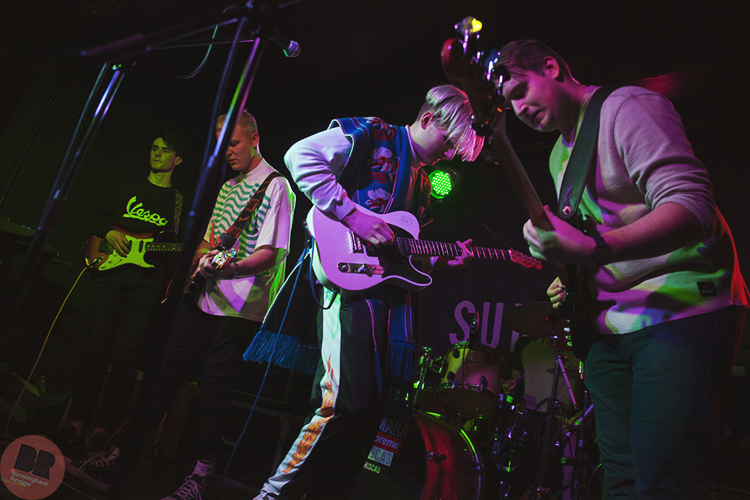 There’s generally a great scene in Birmingham right now with bands like Sugartheif, Ivory Wave, Violet and The Assist being bands I can see going far. I’m excited to see how far we all get and what is great is that we’re all in it to help each other and push all the bands around to do better. There’s no rivalries or bitterness and that’s what is special about 0121, the B-Scene, B-Town Revival, Madlands or whatever you want to call this great movement! Q. And what artists are you listening to the most right now? JH: We’re listening to so many different artists at the moment it’s hard to say which we listen to the most. It changes daily depending on what kinda mood we’re in I guess haha. If we had to pick a couple though it would probably be the likes of Tame Impala, Kung fu Kenny, Phoenix, Bad Sounds, Vince Staples, FKJ, Brockhampton. Too many genuinely great artists around in the music world now to mention them all! Q. What’s next for Spilt Milk Society? JH: It’s a question we get asked and never seem to have a definitive answer! We don’t really tend to plan too far ahead. We’re just doing what we’re doing and trying to have a good time doing it. We do have big things in the pipeline and new material written too. We’ll have a pretty busy year ahead of us no doubt! Q. What’s the ultimate goal for Spilt Milk Society? JH: Thats an easy one, ultimate goal for Spilly Milly the Hill Billy is to headline Glasto 2022. That or do a collab with Toto - no single song beats Africa.